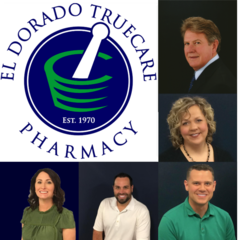 At El Dorado TrueCare, we take pride in being a small-town independent pharmacy focused on prescriptions, personalized compounding of medications, hospital transition care, worker's compensation and excellent customer service! All this while still providing competitive prices, product selection, and the latest technology and conveniences. If you have yet to experience true care, Welcome to TrueCare.